The Conowingo Dam is a hydro-electric dam that dates back to 1926 and is one of the largest non-federal hydroelectric dams in the U.S. The dam has 53 flood control gates, starting at the northeastern end of the powerhouse and spanning the majority of the dam. The floodgates are operated by three overhead cranes rated for 60 short tons (53.6 long tons; 54.4 t) each and built by the Morgan Engineering Company of Ohio. The cranes run on rails the length of the dam and are electrically powered from lines that run above the face of the dam. As of 2017, all new overhead cranes have been installed with the original Morgan cranes removed and scrapped. The new cranes have backup generators installed on them to allow operation during a facility grid power failure. The problem is, when the gates are opened, the trash flows right downstream and ultimately hits the Chesapeake Bay. It’s utterly disgusting how much trash builds up. Look in the lower left of the video I made below and you will see the island of trash that is always present. They crane trash and debris out, but no sooner than they drop it in a bin, more trash takes the place. Large plastic blue drums are always floating, tires, and more. It’s sad. Much work needs to be done to resolve this, with New York and Pennslyvania taking some ownership! Governor Hogan of Maryland wants to put a plan in action, but I urge everyone to go look at the trash in person. You will be disgusted. 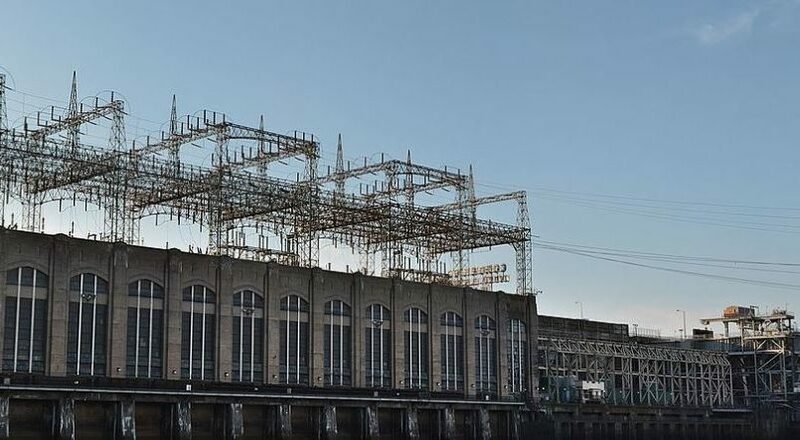 Read this Baltimore Sun article from a few months ago as well, Maryland officials ask Conowingo Dam owner Exelon to help in ‘critical moment’ for Chesapeake Bay pollution.